I hope you guys like Halloween nail polish as much as I do, cause I've got quite a few Halloween collections coming up this week. I'm kicking things off with the Different Dimension Silenced the Lambs collection, a set of four polishes inspired by Silence of the Lambs. I've never actually seen the movie (I don't do well with scary movies, so I don't subject myself to them haha), but I can tell you that these polishes are quite lovely and definitely worth looking into! Good Evening Clarice is a soft, minty green shade. It has a faint holographic sparkle to it and also glows in the dark! It was pretty sheer; I needed four coats for the coverage below. If you apply your polish with a heavier hand you could probably manage with three. 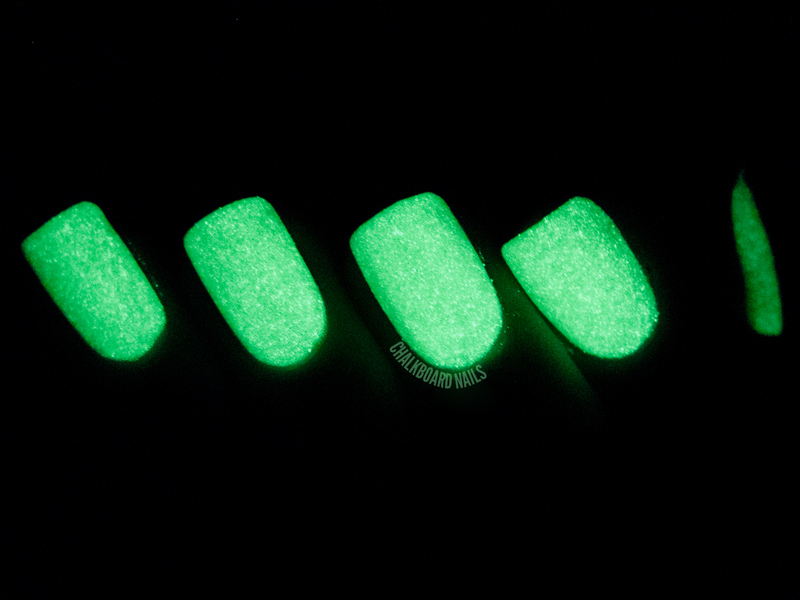 It applied evenly and smoothly, and the glow in the dark effect is very strong. Have the Lambs Stopped Screaming? 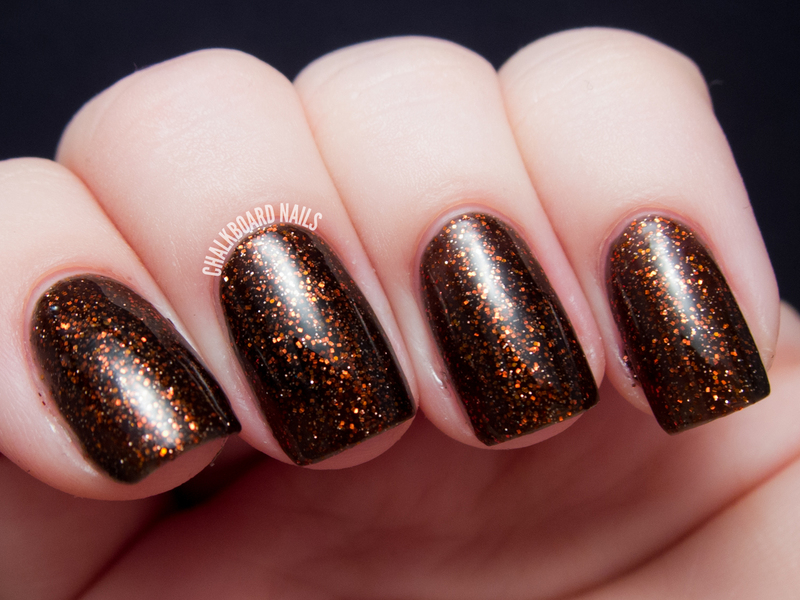 is a fun Halloween colored glitter topper in a clear base. 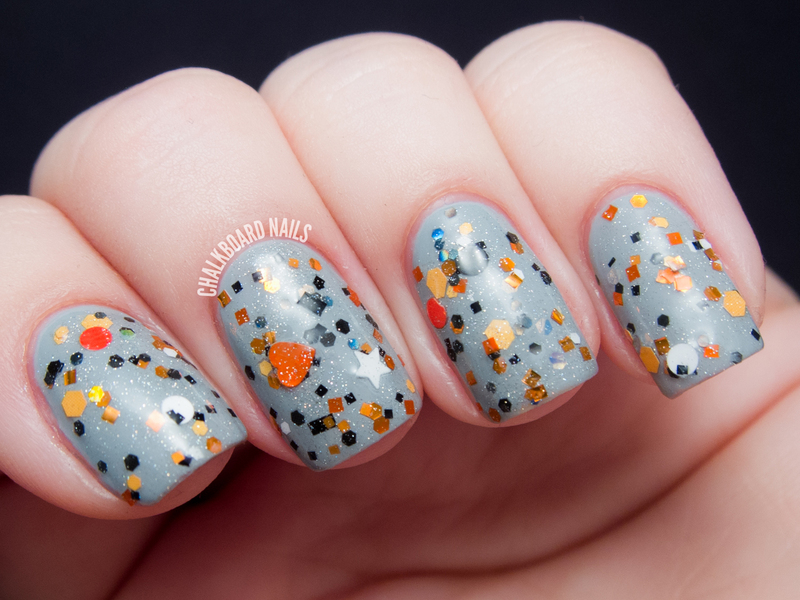 There are black, orange, and white glitters in a number of shapes (including hearts, stars, and dots), plus holo dust. There is a ton of glitter packed in here and I've shown just one coat over DIOSA Dime Piece. I Ate His Liver With Some Fava Beans and a Nice Chianti is my favorite of the bunch. This mix has green, purple, and black, including some gorgeous purple stars. I layered it over my old standby, OPI My Vampire is Buff. So pretty, and again, it has a TON of glitter packed in so you get great density with every swipe of the brush. It Rubs the Lotion On Its Skin is an interesting one, it is billed as a textured polish! It applied evenly and with good opacity; here is two coats shown with its natural matte finish. You can see a little bit of texture from the glitter. It definitely doesn't have the same texture effect as say, the Liquid Sands or the PixieDusts...it's more subtle. Closer to the Nails Inc Leather polishes but still a little different. Here it is shown with topcoat. Which ones are your favorite? Do you agree with me about I Ate His Liver...? Overall I think this is a fantastic Halloween collection. I'm know always eager to see what Different Dimension does next and this group certainly didn't disappoint. Different Dimension polishes are available on www.differentdimension.us. You can also keep up with the brand on Facebook, and the brand's creator Missi on Twitter, and Instagram. A good mint usually gets me too! I recently ordered Have The Lambs stopped screaming and now I can't wait to get it. I really want I Ate His Liver With Some Fava Beans And A Nice Chianti now. It's such a pretty glitter mix. I love this collection so, so much! Thanks for the swatches! I just got the green glow (such a sucker for glow and a HOLO GLOW?! I NEEDED IT.) 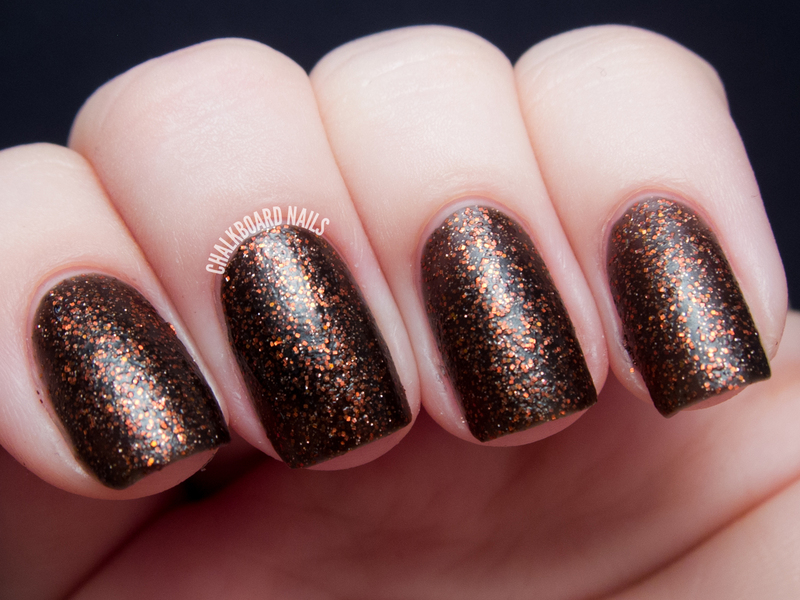 at her last restock and though I haven't worn it yet (hand surgery) it is GORGEOUS on the nail wheel & in the bottle. Love this collection! I don't have any Different Dimension polishes yet, but this collection might persuade me to buy one or two...or four. Thanks for sharing! I'm usually one to like simple nail polish, but the ones you showed in the post look amazing! will be definitely trying them out. Have the Lambs Stopped Screaming is definitely may hands down favourite! Beautiful swatches! It Rubs The Lotion On Its Skin is my favorite. I really like this collection for the names and inspiration! I am loving t Rubs the Lotion On Its Skin, its so unique. I really like the names of these polishes! I love a good suspenseful movie (Hitchcock, M. Night Shyamalan), but I don't watch horror movies any more. You will not see me at the next Saw XXIV movie! I do love Halloween polishes, and I like how these are a little different! I Ate His Liver.. is really fun but I love It Rubs Lotion on His Skin with a topcoat! I loved Silence of the Lambs, and the recent NBC revamp of Dr. Lecter with the Hannibal series is my guilty pleasure. I'm so hooked on it! I think "Have the Lambs Stopped Screaming" is my favorite. * _ * It looks fantastic over that gray/blue?